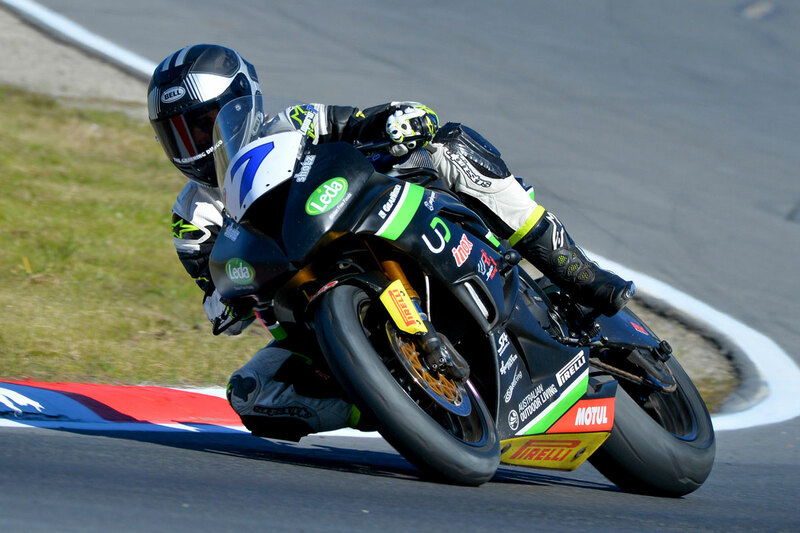 Cube Racing duo Tom Toparis and Oli Bayliss both stood on their respective podiums at Winton Motor Raceway’s penultimate round of the 2018 Australian Superbike Championship (ASBK) in Victoria on Sunday. Despite a difficult weekend in the early stages, Goulburn talent Toparis pressed on to qualify second on Saturday with an ultra-quick 1m23.471s lap-time, setting the stage for a strong race day. Sunday saw Toparis involved in an early off-track excursion, forced to claw his way back from 12th at the conclusion of lap one to sixth position in an inspired ride to marginally keep his title hopes alive. The second 13-lap affair was much smoother for Toparis, leading lap one and then settling into second, where he would finish directly behind newly-crowned champion Cru Halliday. That result earned the 18-year-old third overall and secured him P2 in the series with a round to spare. “It was probably one of the toughest weekends that I’ve had in racing, with a number of crashes between the test and round,” Toparis reflected. “We started to run out of spare parts in the end, but anyway, in race one I accidentally made a mistake into turn one and ruined the race for myself and Cru as well unfortunately. It was also an encouraging weekend yet again for Bayliss in the Supersport 300 category, qualifying on the front row of the grid in third at 1m32.035s. 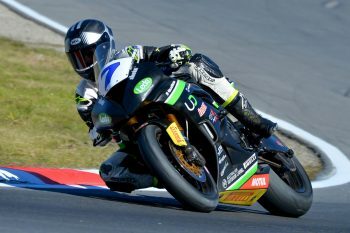 Race one on Saturday afternoon saw him cross the line fourth, before improving to a pair of gritty seconds on Sunday – within a second of victory on each occasion. Those results enabled the flying 14-year-old to claim second overall for the round, now fourth in the championship standings following six rounds. Bayliss is now within five points of an elusive podium position with just one round of competition remaining. Cube Racing team owner and manager Ben Henry was proud of the teenagers’ efforts across the Winton weekend, satisfied to see them deliver consistent results on Sunday to record valuable overall podiums across the board. “As always, Tom was super-fast and we’re happy with the end result,” Henry stated. “He spent too much time on the ground in the test and this weekend, but managed to bounce back and did a good job. That second race was especially strong, it showed just how fast he is – it’s just a matter of taking his time and letting it come to him. The 2018 Australian Superbike Championship will conclude with Phillip Island’s seventh and final round of the series to be staged between 12-14 October at the world-class grand prix circuit in Victoria. Like Cube Racing on Facebook and visit www.asbk.com.au for further information. Cube Performance Centre also has an exclusive Cube Racing section on its website, available to view at www.cubeperformancecentre.com.au/cuberacing now.